Over the years I have toyed with making many concoctions for the garden. One of my favorite things I do is make compost tea…among many other teas! It’s truly astonishing how many diverse beneficial, active, aerobic microbes there are in compost tea! Really good compost tea can contain as many as 100 trillion bacteria per 1 ml. WOW! Do I sound excited about compost tea? Well I am! Compost tea has many benefits for the garden. Insect and disease control and plant health are the most important reasons for creating tea for your garden beauties. It inoculates your soil with microbes. 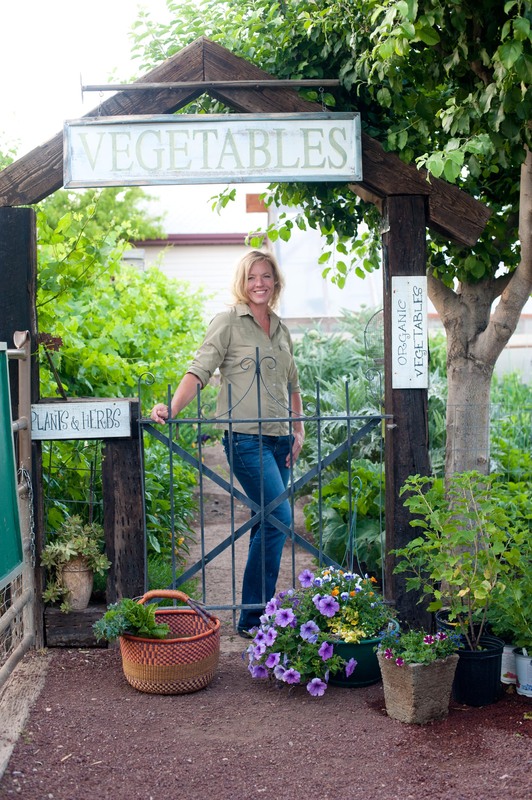 You can create it with a very small amount of compost if you don’t have much available to you. It can also inoculate the leaves of your plants, which is something you can’t do with dry compost. Compost teas helps to combat powdery mildew and controls insects such as spider mites. We have seen decreased numbers of aphids on plum trees when using a spray of compost tea. That’s something to toot about! There are two methods of creating tea. Non-aerated compost tea and aerated. I prefer aerating my compost tea. When it has air moving around, the microbes are more active and when you spray it on the leaves they ‘stick’ better to the surfaces. So that’s the one we will talk about!! To make a good tea, you need a few things to get started. Air pump. Like the ones used for fish tanks will do. Whoo Hoo…There’s your kit! Now for the ingredients! Always use mature compost. 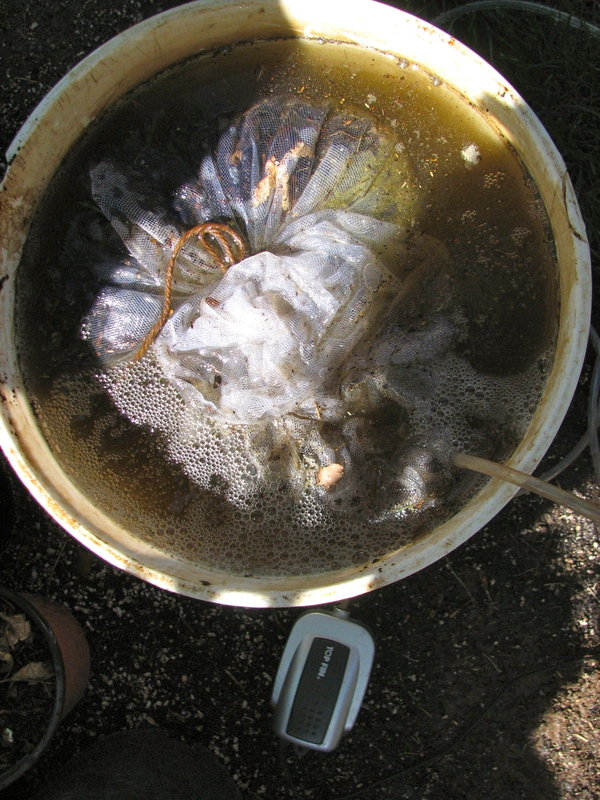 If compost has not decomposed fully, it can be harmful to your plants when making compost tea. It should smell like good clean earth! This if VERY important! If you don’t make your own compost, then bagged will do, but your own compost is best. Always look for compost that hasn’t sat out in the hot sun baking in bags for centuries!! You know…Walmart parking lots! Place your bubblers in the bucket of non-chlorine water and place a rock on them to hold them at the bottom of the bucket. You need the air to circulate the brew from the bottom up! Add your molasses. Place compost and kelp in cloth and tie to the top. Toss your ‘tea bag’ into the percolating water, lightly set a lid, allowing air flow and let it brew for 3-5 days. Brew should be kept out of the sun. Once the brew is finished; it should be used within 8 hours. Strain if you are using a sprayer. I like to just pour it into a watering can and pour right over the top of plants when I am in a hurry, but it will go a lot further if you use a sprayer. You won’t need to dilute your tea, but if you choose to make sure you never use chlorinated water. You went to all that work, no sense in killing those microbes! I only feed every three weeks to once a month, but there is no reason you can’t spray every week for plants that need a little extra love! You can add other ingredients to your compost tea if you like. Molasses, fruit juices and kelp promote more bacteria growth, while fish fertilizers, seed meals, humic acids and rock dusts promote more fungal growth. Fungal teas are great for orchards and strawberries! At the end of the brewing process you can add mycorrhizal fungi if you are doing a soil application. Just remember that when using a mycorrhizae, it is only for soil and it will die if applied to leaf surfaces. Try a few different ingredients every time you concoct a brew and record what worked the best for you, but you should always use molasses and of course, compost! !